Dr. Manar Abu Talib is assistant dean of College of Sciences at the University of Sharjah in the UAE. Dr. Abu Talib’s research interest includes software engineering with substantial experience and knowledge in conducting research in software measurement, software quality, software testing, ISO 27001 for Information Security, blockchain, IoT and Open Source Software. 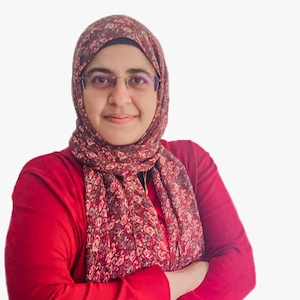 Manar is also working on ISO standards for measuring the functional size of software, and has been involved in developing the Arabic version of ISO 19761 (COSMIC-FFP measurement method). She published more than 40 refereed conferences, journals, manuals and technical reports, involved in more than 200 professional activities and sponsored research activities and supervised 30 capstone projects. She received the Best Teacher Award two times, the Exemplary Faculty Award in 2008 and 2010, Google CS4HS Award in 2014, QCRI ArabWIC and Anita Borg Institute Faculty scholarships in 2015, outstanding University & Community Service Award in 2016 and Exemplary Leader Award in WiSTEM 2016. She was the Counselor of IEEE Student Branch at Zayed University, 2012-2013 and founder and former CEO of Emirates Digital Association for Women (EDAW111). She is the ArabWIC VP of Chapters in Arab Women in Computing Association (ArabWIC), Google Women Tech Maker Lead, an executive member in UAE IEEE Section & Women in Engineering (WIE), the Sharjah Google Developer Group Advisor, the UAE representative for the COSMIC-FPP Education Committee, Co-coordinator of OpenUAE Research & Development Group and the International Collaborator to Software Engineering Research Laboratory in Montreal, Canada.